Deconvolution refers to any of a number of computational techniques whereby out-of-focus light is removed from an image based upon some knowledge of the point-spread-function (PSF) of the system being used. Many software packages include deconvolution functions (e.g. 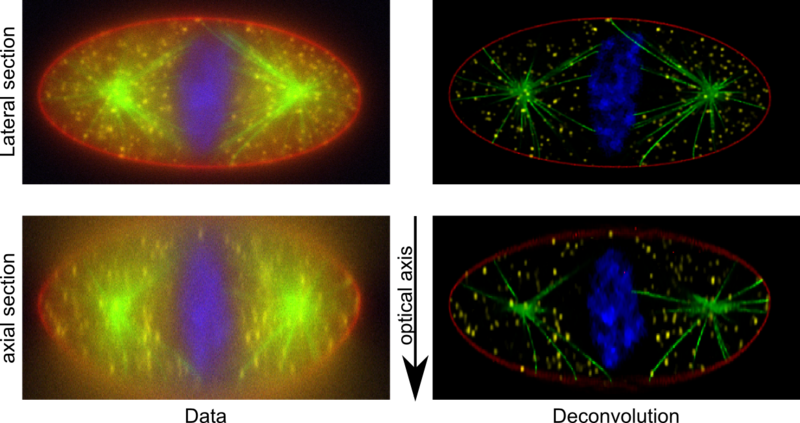 Huygens and ImageJ), and there is both 2D deconvolution, which removes out-of-focus light from a single image, and 3D deconvolution, which reassigns out-of-focus light into appropriate serial planes within a Z stack.